Victoria Club, a premiere private club, is located in the center of the city of Riverside, in the bustling Inland Empire. It was incorporated on October 16, 1903 making it one of the oldest clubs in Southern California. Situated in the Tequesquite Arroyo that once was surrounded by orange groves, Victoria Club's history and charm remain as elegant today as they were in the beginning. Victoria Club is a full service club featuring an eighteen hole golf course, 6-lane 25 yard swimming pool, five lighted tennis courts, exercise room, dining rooms, two beverage lounges and a beautiful Victorian style clubhouse. 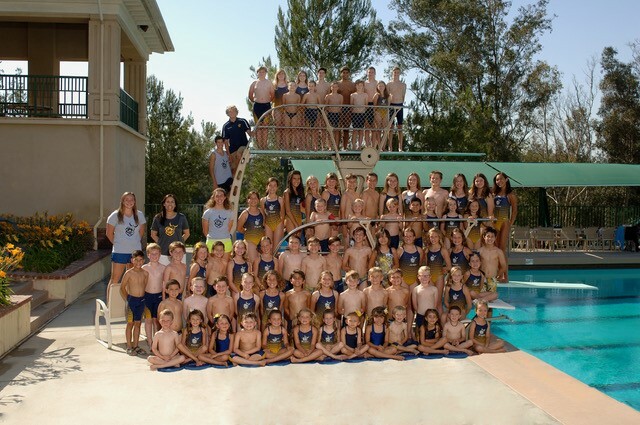 Victoria Club Vikings is a competitive summer league swim & dive team. Swimmers age 5-18 must be able to swim the length of the pool (25 yards) unassisted to participate. Swim coaches will evaluate new swimmers prior to participating in swim practices. One-piece swimsuits, swim caps, and goggles are highly recommended during practices. The Victoria Club Vikings competes in the Sunkist League which consists of clubs that are member owned and PGA registered and excludes all organizations that would be considered as commercial or profit-making establishments. New Swimmer Evaluations on Monday, May 20, 2019 from 5-7pm. Practice begins Tuesday, May 21. Practices are scheduled Monday through Friday after school while RUSD is still in session. Starting the week of June 3, 2019 practices are scheduled Monday through Friday mornings. Please make every effort to attend morning practices. Tuesday, Wednesday and Thursday afternoon practices are offered to those families unable to attend morning practices. Due to the number of athletes on our team, we ask that you attend either the morning or afternoon practice, not both. Check the calendar tab for times and details. Please contact Victoria Club's Membership Director, Elizabeth Young, at (951) 683-5323 for membership inquiry. Registration is not complete until membership and athlete DOB is verified. The membership application process takes approximately 6-8 weeks. New members are encouraged to submit their application by March 1, 2019 to be eligible for the 2019 swim season. The Aquatic Zone in Corona is a year-round, indoor, heated facility where many of our swimmers improve on proper stroke technique as well as train in the off season. If your swimmer struggles with the breaststroke, butterfly or got disqualified this summer, I highly recommend looking into weekly stroke lessons. Off season conditioning with the Tidal Waves or Riverside Aquatics Association is only recommended if your child can properly demonstrate correct stroke technique and is interested in swimming more yardage. Riverside Water Polo offers Splash Ball and a Futures program to introduce your child to the sport of water polo without committing to the their year round club team. Riverside Elite Diving offers a free tryout and "punchcard" option for dive lessons. Remember, VC's 8 & under swimmers "sprint" 25 yard races and our 9 & olders swim 50's. Both Tidal Waves and RAA swim meets included 100 & 200 yard stroke events which is why their practices are geared towards swimming more yardage vs. a "learn to swim" program geared towards teaching proper stroke technique. Whether you take nine months off or you continue to train in the off season, I look foward to seeing you all back in the summer!